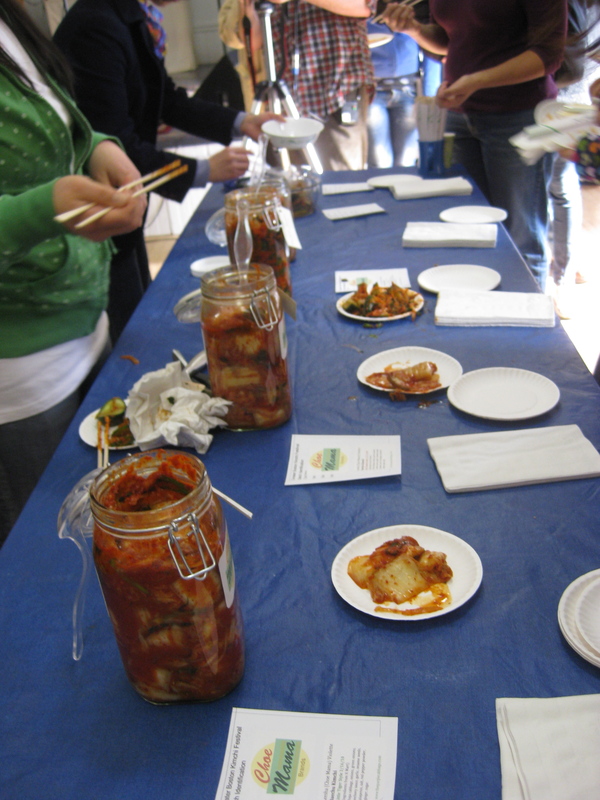 The Greater Boston Kimchi Festival took place this past Saturday at the Theodore Parker Church in West Roxbury. The place was seriously crowded. We paid the five dollar entrance fee and were greeted with barley tea and a merch table: fair trade coffee and chocolate, kimchi forks (tongs bent 90 degrees from handle), and a kimchi starter kit (complete with a local cabbage, dried hot peppers, a head of garlic, fresh ginger, onions, carrots, a mason jar and a recipe). Korean. 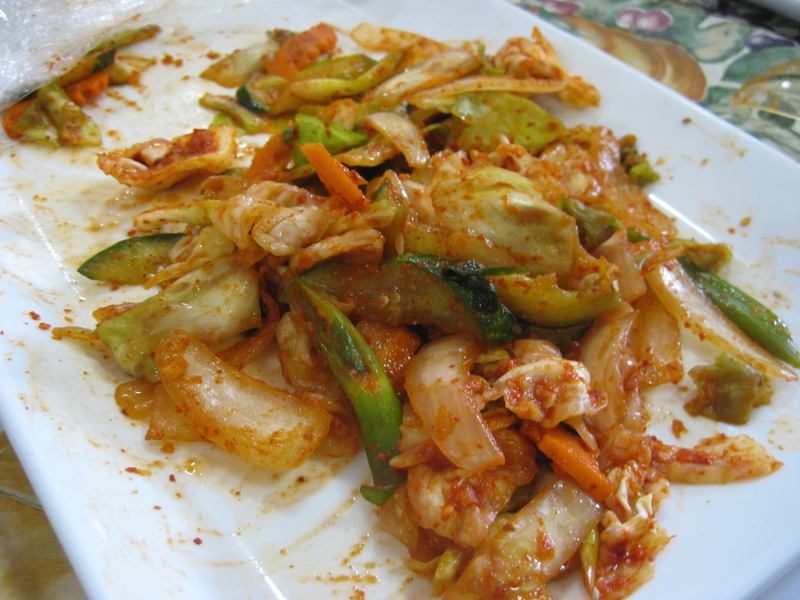 a spicy pickled or fermented mixture containing cabbage, onions, and sometimes fish, variously seasoned, as with garlic, horseradish, red peppers, and ginger. The room was filled with people trying to weezle their way to the U-shaped table, chopsticks first. 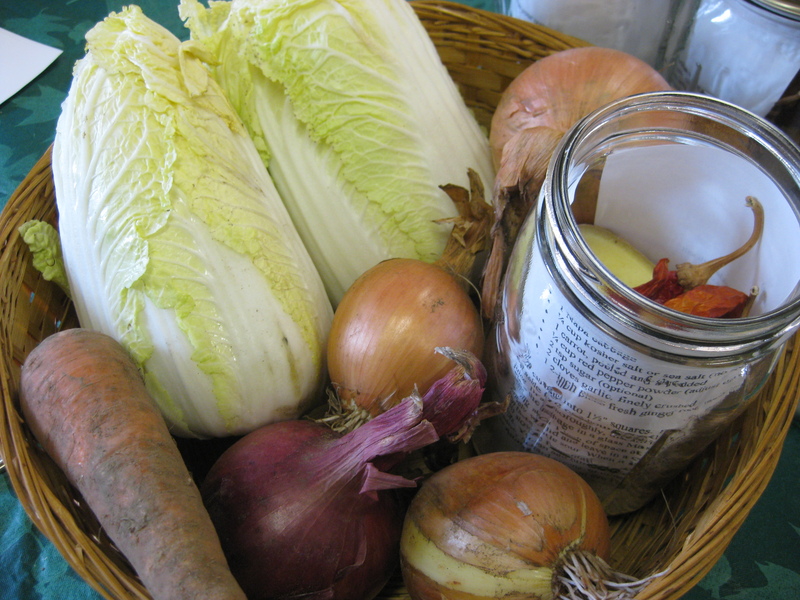 Each kimchi shined brightly red in its mason jar. We offered our paper plates to the masters of cabbage and they happily plopped down some of the naturally fermented goodness. I loved the big, crunchy chunks of radish in some. My favorites were the classic and hot varieties made by this beautiful woman, who was clearly very proud of her creations. The cabbage was so big she had to cut it up with scissors before serving. 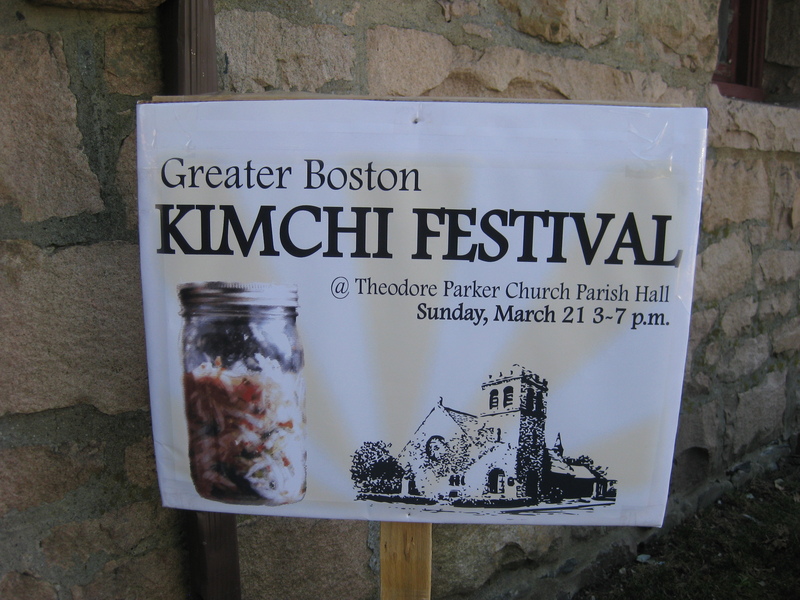 The festival was one of my first kimchi experiences, but I could tell the kind with cranberries and cinnamon was untraditional. It was seriously delicious nevertheless. The afternoon was great, spicy fun. 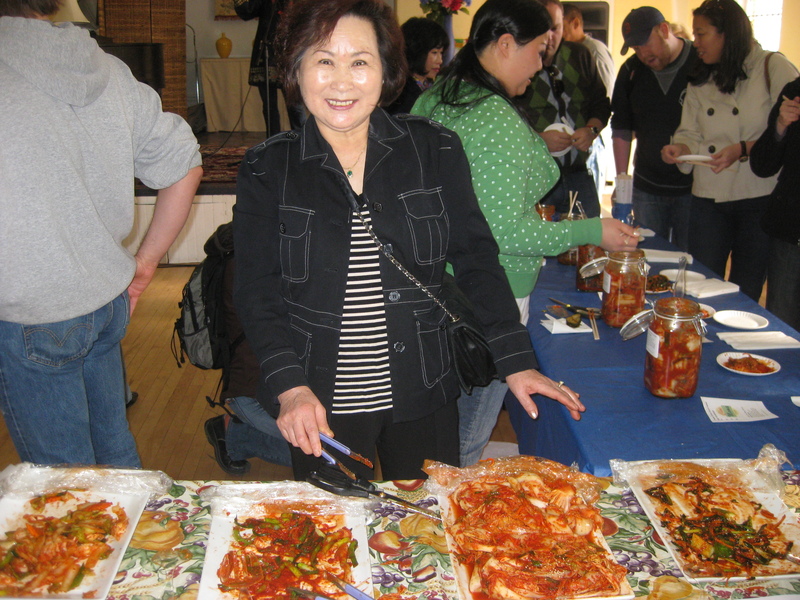 I walked away with a kimchi kit and made my very first batch today. I discovered this festival through the blog Feed Me Like You Mean It and The Urban Homesteader League.